Join us on Saturday, September 10, 2016 10am – 6pm for the First Annual Great Outdoor Expo at Ditto Landing with the New Mix 96.9. What better place to experience an OUTDOOR EXPO than OUTDOORS? What better place to see the latest in RVs and Camping than a CAMPGROUND? What better place to check out the newest boats than a MARINA? Yes, we will have displays from all facets of Outdoor Experiences – Hunting, Fishing, Camping, RVing, Boating, Cycling, Watersports, Outdoor Live, and more! Admission is FREE! Parking is FREE! Enjoying the Outdoors is …. Yep, FREE!!! We will also have food trucks and other activities for the family! Please visit our Facebook page at www.facebook.com/dittolanding for more updates. Would you like to be an exhibitor/vendor? 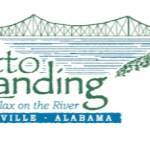 Call Brandi Quick at Ditto Landing to arrange for your space at the First Annual Great Outdoor Expo!